Let’s compare three of the popular low carb diets right now. And how they differ. My hope with this post is that you can make a healthier decision for your personal preferences and lifestyle. There is so much info out there, even I get confused, and I study this stuff! Better known as keto, this diet has been around a long time. In the early 20th century, physicians discovered eating high fat/low carb decreased epileptic seizures. The premise of the diet is that it forces your body to switch from using glucose for fuel to using fat for fuel. (Our bodies are smart, normally using sugar, although they CAN switch to fat burning – just like a back up generator). That “fat as fuel” is called KETOSIS. (It is not the same as a diabetic ketoacidosis, that is not good and not what we are talking about here.) Some keto diets have 60% of calories from fat, and some have 90% of calories from fat. All are low in carbs. Keto leans on the stricter side of low-carb diets as you have to maintain a rigid nutrition plan so your body can successfully go into ketosis. But, keep in mind there is also evidence, especially in women, that carbs for dinner can help assist sleep. It has been suggested to eat the least number of carbs at breakfast, a bit more at lunch and then the most at dinner. This applies to any low carb diet plan. The paleo diet is based on what our ancestors ate (Paleolithic, hence “paleo”). It is reminiscent of what hunter-gatherers ate. It is high protien with a lot of vegetables and fruit. This diet ends up being low carb because there are no grains, minimal dairy, legumes and processed food. But it isn’t nearly as low carb as keto. In addition, Paleo rules say to avoid certain oils like sunflower, soybean, corn, cottonseed, grapeseed and safflower. The more you can eat pure “hunter gatherer” type foods, the better. It also allows small amounts of chocolate (70% cocoa content and up) and red wine. Why is Atkins still around? Does it work? This diet was developed by Dr. Atkins in the 1960’s. It is labeled as a low-carb diet. There are two versions of the Atkins diet now, Atkins 20, which is the original, and Atkins 40, which is a plan created for those looking to lose less than 40 pounds. 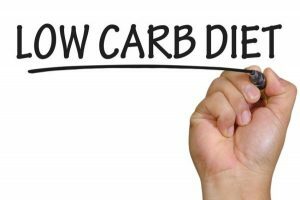 The classic Atkins diet has four phases — the first phase starts off with having dieters eating 20 to 25 grams of carbs per day (very similar to keto), and then slowly progresses to phase four in which people are allowed 80 to 100 grams of carbs, which is still considered low-carb. Atkins focuses on net carbs. Instead of counting all carbs as the same, this diet takes fiber and sugars into account, whereas paleo and keto don’t. So if a product has 10 grams of carbs, but 3 grams of fiber and 1 gram of sugar, then your net carbs would be 6 grams. Atkins has a track record of success, as do keto and paleo. Some people feel great on keto, and love the way they ketosis gives them energy. Other people do not, and it is up to you to gauge your weight loss, your food preferences and how you feel. There is not one solution for everyone. T2T Help: Want to lower your carbs? Check out my 10 Days, 10 Ways to lower carbs here. The table below summarizes these diets and may help you determine what one is best for you.